Kenos Family Restaurant has been a part of the Canyon since its inception in 1983. Kenos opened its doors on August 3rd, 1980. The current owners, the Cooper family, began owning and operating the business on July 21, 1993. For the past thirty years, Kenos has grown with the Canyon. But one thing at Kenos has stayed the same throughout the decades: the food & the people. Although the times have changed and food trends come and go, our world-famous pancakes and famous fried chicken are still some of Kenos' best sellers! Our pancakes have been made the same way (with our same super secret recipe) for the past thirty years! And as for the Famous Fried Chicken.... Kenos has deemed Tuesday Night as Chicken Night since it's opening back in 83'. Check out the construction as the building went up! The early stages of Kenos. What is known today as the soda fountain area is being built. Kenos was open 24 hours back in 1980s. The Building is coming together!! 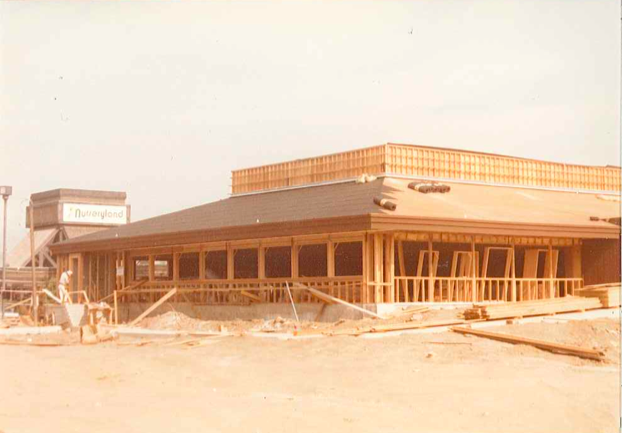 The coffee Shop and front window being constructed. Kenos.. back in the 1980s. 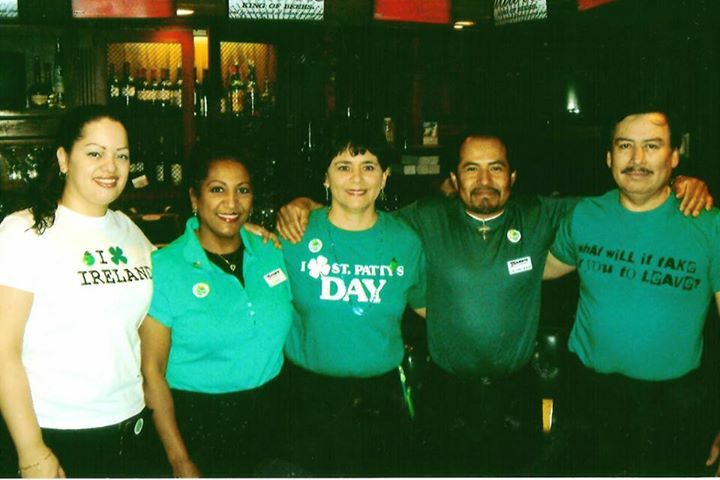 Current Kenos Employees (pictured in 2005) Mamay, Canseco, Roman and Edilma. Photographed on Super Bowl Sunday 2013! kenos crew pictured in 2014- Angel, Tony, Patrick & Leo. The Kenos family has evolved over the past thirty years, but many faces have stayed the same.. It's not just our customers that continually come in day after day.. it's our staff! 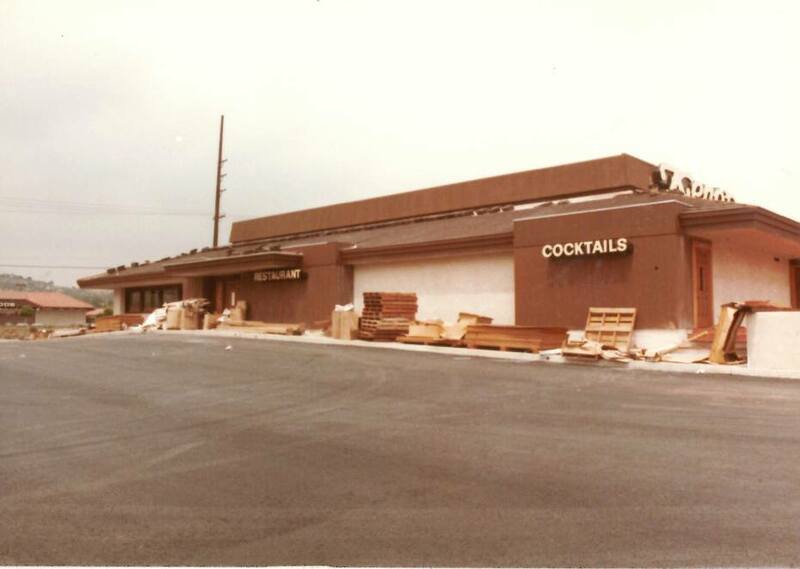 A few of our staff have been working at Kenos before it was owned and operated by Steve Cooper. Busboy Canseco, Cook Andy and two servers Roman and Eddie have all been with Kenos for over thirty years! Even our General Manager, Renee Bock, has been with a member of the Kenos family for over 15 years! When looking back on his 20 plus years as owner, Steve Cooper said one of the most rewarding aspects of Kenos has been watching some of his younger patrons that came in with their parents, grow into parents of their own!!! Three generations of Cooper men (Steve, Geno, Robert) pictured sitting on the Kenos counter. Today, Kenos is still changing and adapting to the Canyon... With a recently updated exterior, Kenos is still your favorite neighborhood stop! We still have our world famous pancakes, and fried chicken on Tuesdays! The Lounge is still decked out with The Rat Pack and gives off just the right 'old Vegas' vibe you've been missing! Come say hi! We hope to see you soon! The beginning of the exterior remodel. The stone wall is going up! Ahh, so long plants.. it was a fun 30 years! The plants are ready to be planted! The exterior landscape is starting coming together! !